Displaying your brand’s Twitter feed on your website has some benefits and it provides your website visitors with more information about your recent activity. We can all agree that it is not a necessity if you do not use your Twitter account that often. But what if the mentions from your followers’ tweets contain compliments, a photo of somebody wearing your product, or just a simple thank you note from a satisfied customer. Then displaying your Twitter mentions is becoming something else. They are becoming actual customer testimonials that for sure you want to have your hands on. 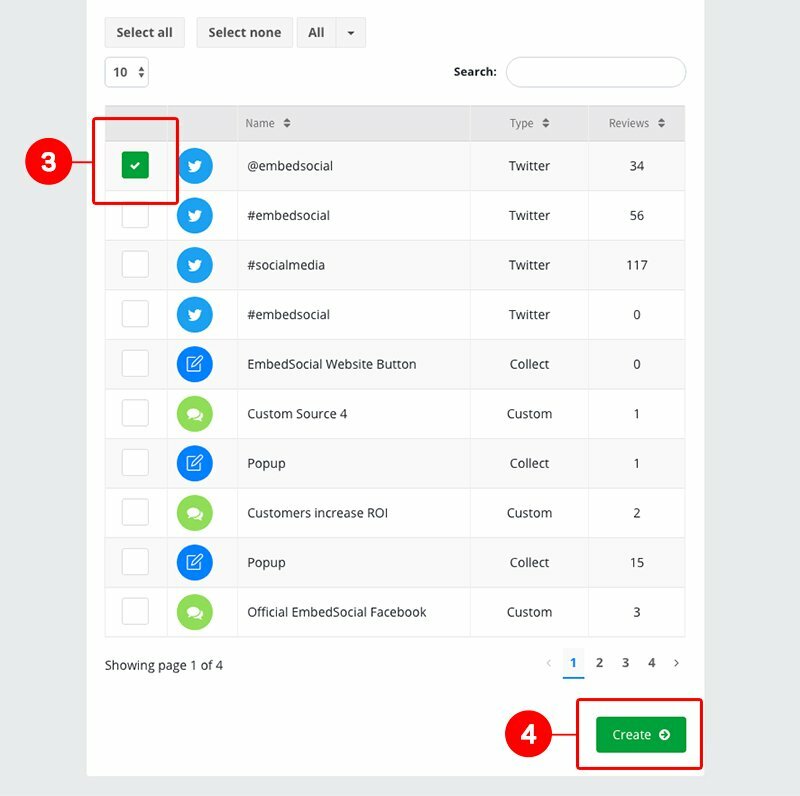 Once you understand why your company needs to take control of your Twitter reputation, here is how you can use EmbedReviews to collect the Twitter mentions and embed them on your website. Here are the steps how to add Twitter to your reviews sources. Please note that when the first time you connect your Twitter account, the system will import the mentions from the last 7 days. 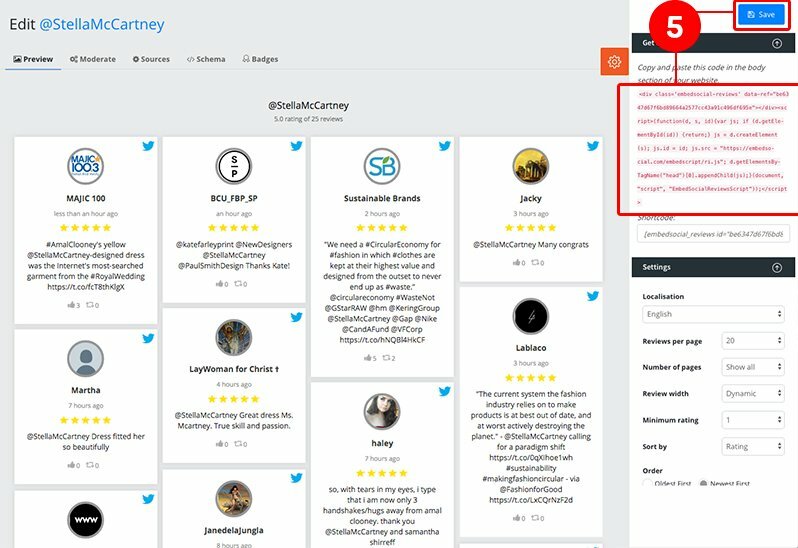 Once you’ve generated Twitter mentions you can create a Reviews feed and embed the Twitter reviews with the provided code. Copy/paste the top-right code in your website body section. Your twitter reviews feed will display on your website, in seconds. 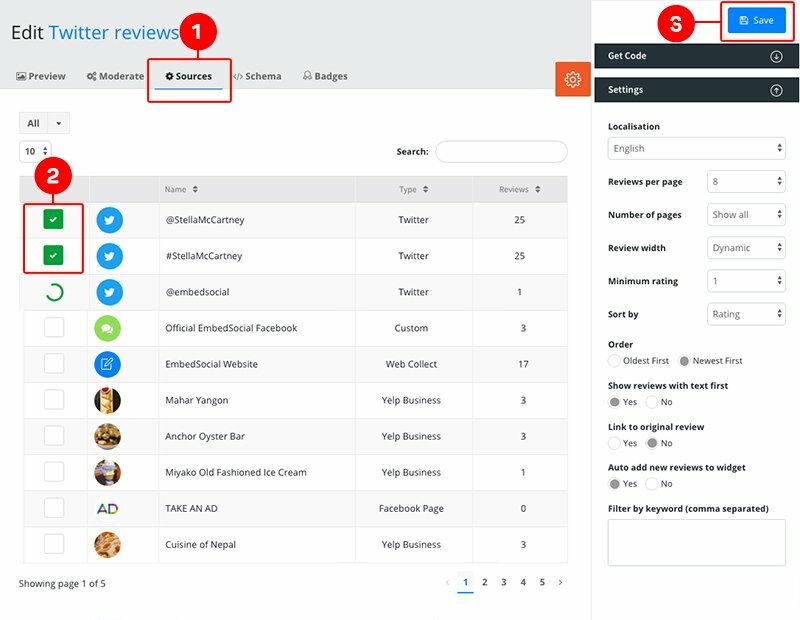 Related to this, you can use EmbedReviews to combine reviews from multiple sources and display them on one page or in one reviews widget. Follow the same steps above to add Facebook Page or Google locations as a source of reviews. 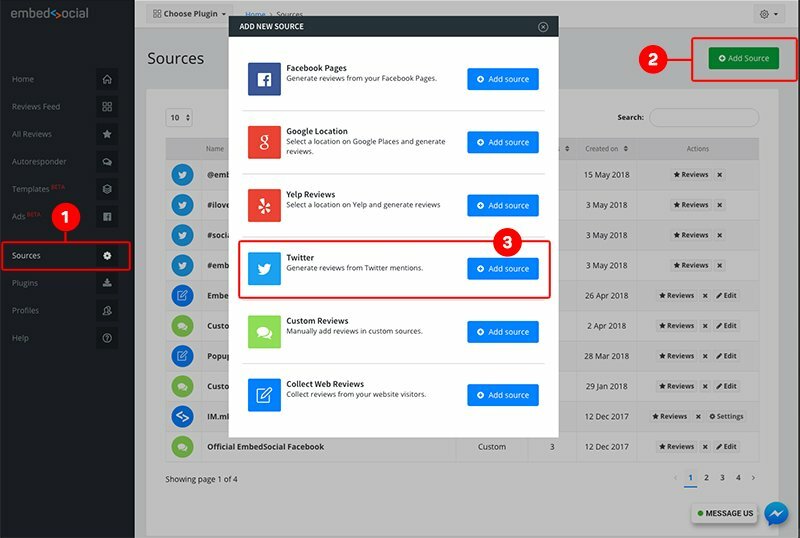 Once you’ve created the reviews feed, you can add more review sources, that will fetch reviews from more sources such as Twitter. 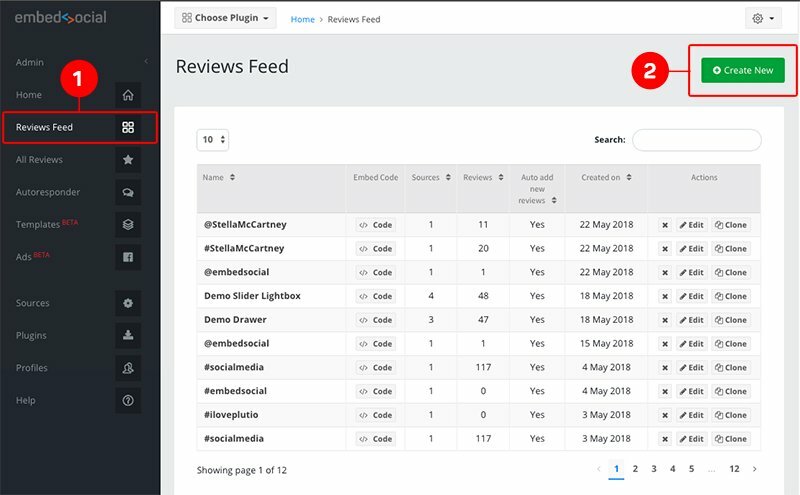 Now you’ve created a reviews widget that will contain all the reviews from various sources including your Twitter mentions. Hope this tutorial helps you take more control of what customers talk about your business online. If you still do not have an EmbedReviews account, click here to start a free trial.